In 2014, WA iron ore heir Michael Wright died leaving in his will about $400 million each to his daughters Alexandra and Leonie, $18.2 to his son Myles but only $3 million from a trust for Olivia, his youngest daughter. Olivia had been born following a short relationship between Wright and her mother. She did not have much contact with her father. In 2015, Olivia launched a family provision claim that Wright failed to make proper and adequate provision for her. It was reported that in the claim, Olivia had expressed a desire for a US$1.2 million piano, a $250,000 bass guitar and Jimmy Choo shoes. What is less well known is that Olivia challenged the will as Wright set up a trust for her with strange conditions and with a possibility that she would receive nothing. The trust was to provide “up to $3 million” with the trustee having the power to distribute these funds to charity instead of Olivia. At the end of the hearing, the Supreme Court of Western Australia found that Olivia had not been adequately provided by Wright and awarded her $25 million. The estate successfully appealed against this decision. In 2017, the Court of Appeal reduced the award to Olivia to $6,142,000. The court stated that this amount would be adequate for her maintenance as this would be enough to purchase a $1.5 million house and provide an annuity of $100,000 per annum for the rest of her life. Most estates are far smaller than that left by the late Michael Wright. Whether the estate is large or small, the central question for inheritance claims is whether the deceased’s dependents have been properly and adequately provided for by the deceased. The size of the estate, the financial circumstances of the beneficiaries and the duty of the deceased to provide for the claimant are all factors to be investigated to determine whether there are merits to launch Court proceedings. My family member has died but did not leave me anything to me. How can I challenge the will? The deceased may have a will but has left you entirely out of the will or has made only a small gift to you. You feel that the deceased has failed to provide for you properly and adequately. Alternatively, the deceased did not make a will and you feel that your entitlement under the law is inadequate in the circumstances of your case. In both these situations, you can make an inheritance claim or what is known in legal terms as a “family provision claim” provided you fall within the criteria set out under the Family Provision Act 1972 (WA). The time limit to make a claim is 6 months from the date of the grant of probate or administration. the deceased had failed to make adequate provision for your proper maintenance, support, education or advancement in life. the duty of the deceased to provide for the claimant. 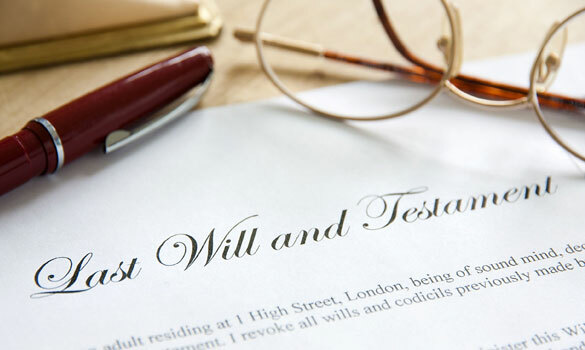 If you are an “eligible person” and can prove that the deceased did not provide you adequately in the will, you have a potential claim for provision out of the estate of the deceased. The merits of a family provision claim may be further complicated when the claimant is estranged from the deceased or the relationship is marred by the poor behaviour of the claimant towards the deceased. The claimant may not have had anything to do with the life of the deceased for years or may have in fact abused or acted badly to the deceased. In these situations, the Court must weigh the circumstances of the conduct of the child against the need for the child to be granted provision from the estate. The Court will look at the reasons behind the estrangement or the child’s poor behaviour towards the deceased to determine in the light of the prevailing community standards whether the child is now disentitled to make a claim for provision from the estate. As there is a time limit of 6 months from the date of the grant of probate or letters of administration to launch a family provision claim, you must act expeditiously before your claim becomes time barred. Another way of challenging a will is on the basis that the maker of the will lacked mental capacity at the time when the will was drawn up. The challenger has to show that the mind and memory of the maker of the will lacked sufficient capacity to understand the financial implications of the terms of the will at the time when it was executed. The challenger must be able to produce medical evidence to support this submission. If the will is found to be invalid, the will not be followed. Instead, the estate will be considered “intestate” and distributed according to entitlements under the law.